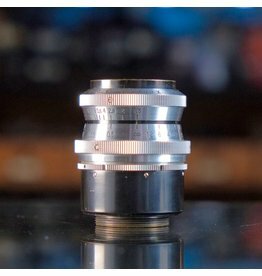 Schneider-Kreuznach 2.5cm f1.5 Xenon lens for C mount. This is a good quality that will cover up to Super 16; does not cover Micro Four Thirds without substantial vignetting. In excellent condition, with clean glass. 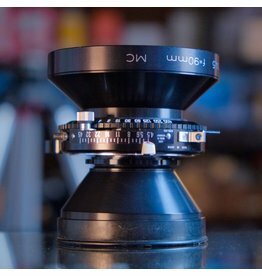 Calumet 90mm f4.5 Caltar II-N MC lens for 4x5. In excellent condition, this lage, fast lens has clean optics and an accurate Copal 1 shutter. Includes retaining ring. This is a Calumet rebrand of the Rodenstock Grandagon N lens. Calumet 90mm f4.5 Caltar II-N MC. 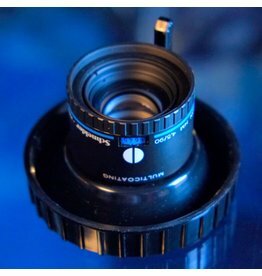 Schneider-Kreuznach 90mm f4.5 APO-Componon HM.